Category: System Utilities. Tag: IObit. 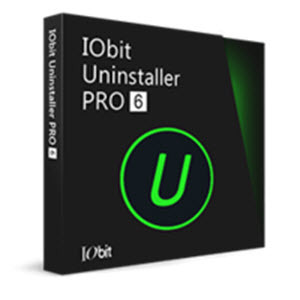 IObit Uninstaller 6 is a powerful uninstall tool to easily and completely remove unwanted programs and stubborn plug-ins & toolbars. Now with an even larger database, IObit Uninstaller 6 can help to detect and remove malicious and ad-based plug-ins & extensions for Microsoft Edge. With the Windows App feature, IObit Uninstaller 6 can remove Windows 10 apps and Windows updates. What’s more, Force Uninstall can remove broken files & applications and hidden & unlisted programs, while Powerful Scan can detect and remove all leftover files and registry entries. 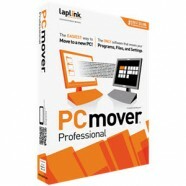 You may notice your PC becomes slower as the years progress. Some causes are programs that can’t be removed, unused programs, and leftovers from uninstalled programs that pile up in the memory. IObit Uninstaller 6 can help you completely and quickly uninstall stubborn programs and their leftovers. Even the unwanted Apps in Windows 10 & Windows 8 can be easily removed. IObit Uninstaller 6 can help users easily manage Windows Updates from the Windows Update tab. If any updates meet a compatibility problem, you can easily use IObit Uninstaller 6 to remove them quickly and completely. You can also create a system restore point in case anything unexpected happens. Annoying toolbars & plug-ins degrade your online browsing experience and invade your online privacy. IObit Uninstaller 6 is the best uninstaller tool for detecting and removing malicious & ad-based plug-ins to avoid them changing your homepage, tracking your activities, or making pop-up ads. IObit Uninstaller 6 also supports the removal of Microsoft Edge extensions for Windows 10 users. IObit Uninstaller 6 also can auto-detect leftovers of programs uninstalled by third-party uninstallers and notify Powerful Scan to remove them thoroughly and quickly. 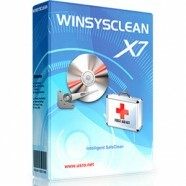 Also Cleanup Residual in the Tools section of IObit Uninstaller 6 can help clean the files left by standard uninstall and Windows patch caches files to free up more space for your PC.